The global derivatives bubble is now 20 percent bigger than it was just before the last great financial crisis struck in 2008. It is a financial bubble far larger than anything the world has ever seen, and when it finally bursts it is going to be a complete and utter nightmare for the financial system of the planet. According to the Bank for International Settlements, the total notional value of derivatives contracts around the world has ballooned to an astounding 710 trillion dollars ($710,000,000,000,000). Other estimates put the grand total well over a quadrillion dollars. If that sounds like a lot of money, that is because it is. For example, U.S. GDP is projected to be in the neighborhood of around 17 trillion dollars for 2014. So 710 trillion dollars is an amount of money that is almost incomprehensible. Instead of actually doing something about the insanely reckless behavior of the big banks, our leaders have allowed the derivatives bubble and these banks to get larger than ever. In fact, as I have written about previously, the big Wall Street banks are collectively 37 percent larger than they were just prior to the last recession. “Too big to fail” is a far more massive problem than it was the last time around, and at some point this derivatives bubble is going to burst and start taking those banks down. When that day arrives, we are going to be facing a crisis that is going to make 2008 look like a Sunday picnic. A derivative, put simply, is a contract between two parties whose value is determined by changes in the value of an underlying asset. Those assets could be bonds, equities, commodities or currencies. The majority of contracts are traded over the counter, where details about pricing, risk measurement and collateral, if any, are not available to the public. In other words, a derivative does not have any intrinsic value. It is essentially a side bet. Most commonly, derivative contracts have to do with the movement of interest rates. But there are many, many other kinds of derivatives as well. People are betting on just about anything and everything that you can imagine, and Wall Street has been transformed into the largest casino in the history of the planet. Goldman Sachs has been increasing its derivatives volumes since the crisis, and it had a portfolio of about $48 trillion at the end of 2013. Bloomberg Businessweek recently reported that as part of its growth strategy, Goldman plans to sell more derivatives to clients. Citibank, too, has been increasing its derivatives portfolio, despite the numerous capital and regulatory challenges, In fact, its portfolio has risen by over 65 percent since the crisis – the most of any of the four banks – to $62 trillion. If the stock market keeps going up, interest rates stay fairly stable and the global economy does not experience a major downturn, this bubble will probably not burst for a while. But if there is a major shock to the system, we could easily experience a major derivatives crisis very rapidly and several of those banks could fail simultaneously. There are many out there that would welcome the collapse of the big banks, but that would also be very bad news for the rest of us. You see, the truth is that the U.S. economy is like a very sick patient with an extremely advanced case of cancer. You can try to kill the cancer (the banks), but in the process you will inevitably kill the patient as well. Right now, the five largest banks account for 42 percent of all loans in the entire country, and the six largest banks control 67 percent of all banking assets. If they go down, we go down too. That is why the fact that they have been so reckless is so infuriating. Just look at the numbers for Goldman Sachs again. At this point, the total exposure that Goldman Sachs has to derivatives contracts is more than 460 times greater than their total assets. And this kind of thing is not just happening in the United States. German banking giant Deutsche Bank has more than 75 trillion dollars of exposure to derivatives. That is even more than any single U.S. bank has. This derivatives bubble is a “sword of Damocles” that is hanging over the global economy by a thread day after day, month after month, year after year. At some point that thread is going to break, the bubble is going to burst, and then all hell is going to break loose. You see, the truth is that virtually none of the underlying problems that caused the last financial crisis have been fixed. 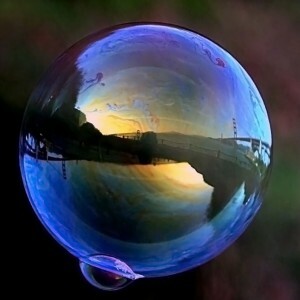 Instead, our problems have just gotten even bigger and the financial bubbles have gotten even larger. Never before in the history of the United States have we been faced with the threat of such a great financial catastrophe. Sadly, most Americans are totally oblivious to all of this. They just have faith that our leaders know what they are doing, and they have been lulled into complacency by the bubble of false stability that we have been enjoying for the last couple of years. Unfortunately for them, this bubble of false stability is not going to last much longer. A financial crisis far greater than what we experienced in 2008 is coming, and it is going to shock the world.